Happy St. Patrick’s day! I’ve been sporting my green all weekend! Hudson loves matching with me…can’t you tell? 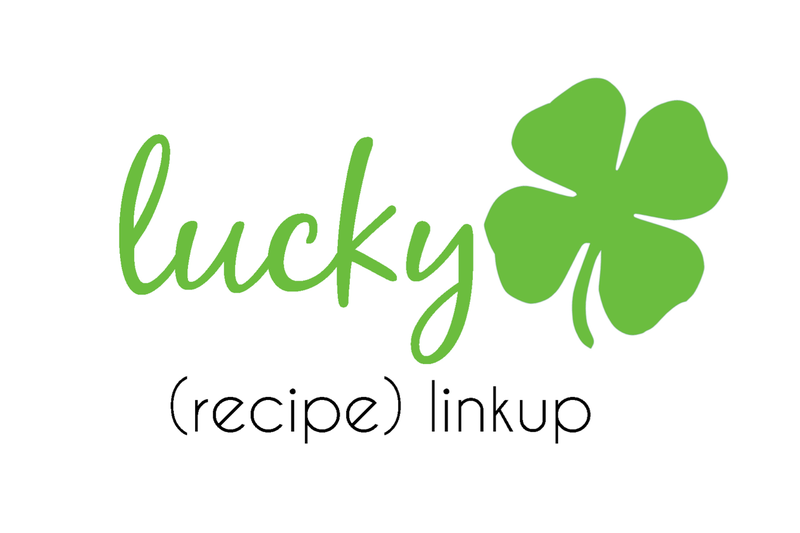 Anyway, today is the Lucky Recipe final link up day! In cased you missed it, we paired up bloggers to swap St. Patrick’s day themed recipes. I can’t wait to see what everyone made! I originally made cake balls.…and Natasha from Schue Love is now taking a turn at them. I sure hope she and her boys loved them as much as we did! For the swap I was paired up with my real life bff Erin, from Hello Erin to make her no-bake grasshopper pies. To say I was thrilled to get Erin’s recipe…that required zero baking would be an understatement! 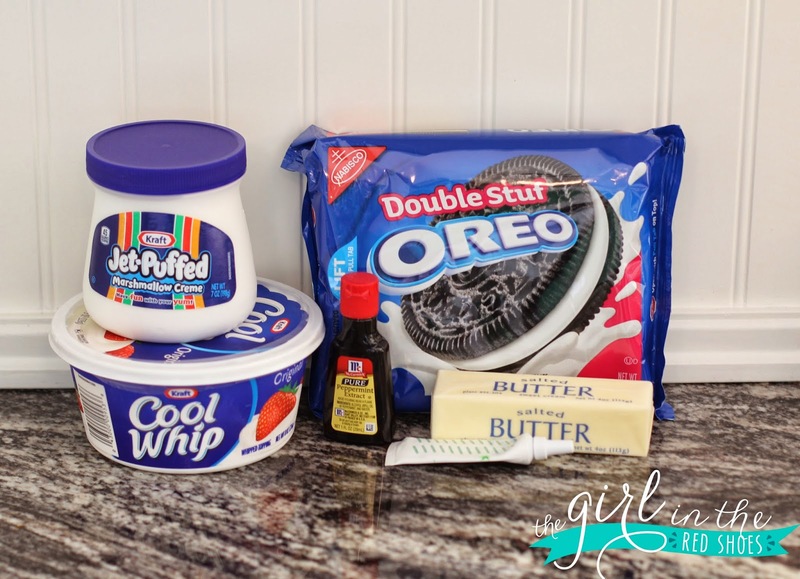 Erin has all of the directions in her post here….but basically you blend up the oreos and butter to make a crust….and then you bend the rest of the ingredients to make the filling. Stick that baby in the freezer and you are done! Erin made individual sized servings, but to switch it up I made one big pie! And I added some green sprinkles…because, why not? This pie was very minty….so if you don’t like mint, cut the peppermint extract in half. If you participated in the recipe swap, be sure to link up your new recipe below! And happy St. Patrick’s day! did you see that i totally made rainbow donuts a few weeks ago so i could get in on this linkup and then the donuts tasted like gar-bage? garbage. i couldn't bear to do that to you gals. i did post a picture of them on my five on friday. they were super cute. please do another linkup soon. i won't screw it up. Theses things totally involve all my fav ingredients! Yours looks delicious… Especially with those green sprinkles!! Ps- yay twinning with Hudson!! I love you guys!! 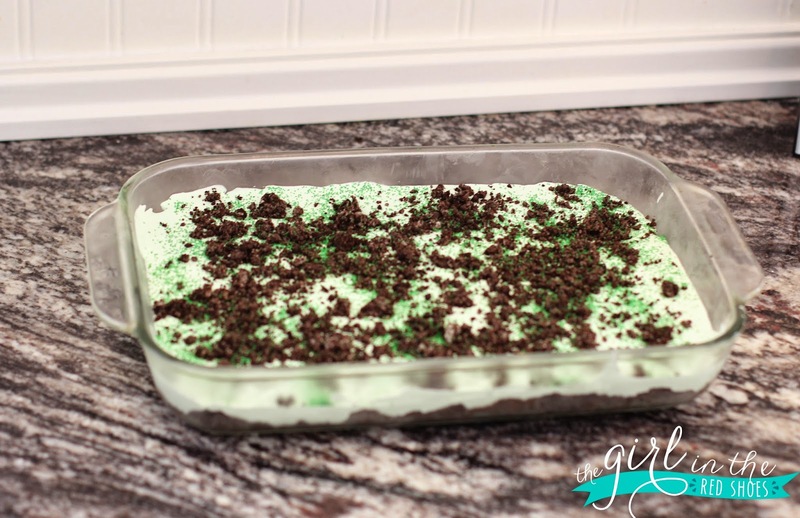 LOVE me some Grasshopper Pie! My hubby's grandma makes it with creme de menthe liqueur and it's to die for. I love grasshopper pie! That looks so yummy. This look SO delish. Anything with Oreos and whipped cream is a winner in my book. I love grasshopper anything, so good! 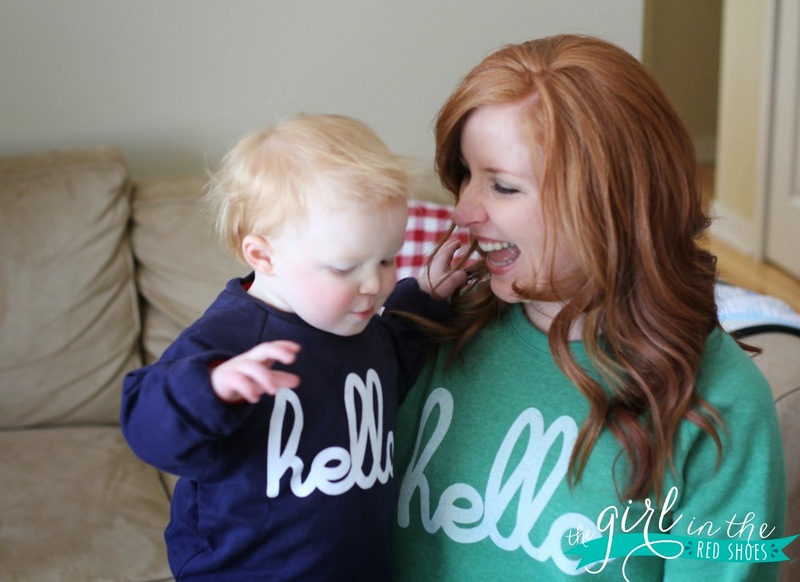 I love the matching shirts! Another recipe I'll have to add to my list to make – yay for no bake desserts! Yum! This looks so good!!! 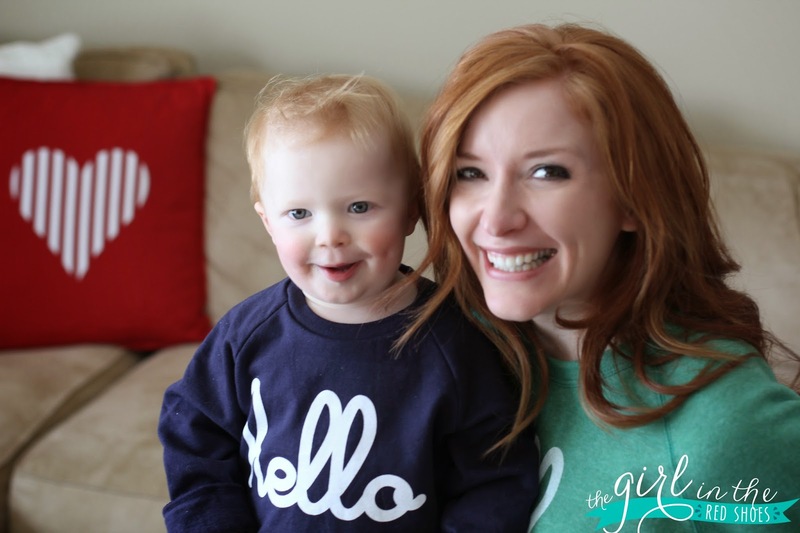 And you and Hudson are the cutest!! !